Rodgers & Hammerstein's fairytale classic, Cinderella, is playing at the Hornsby RSL Club for an extremely short season. 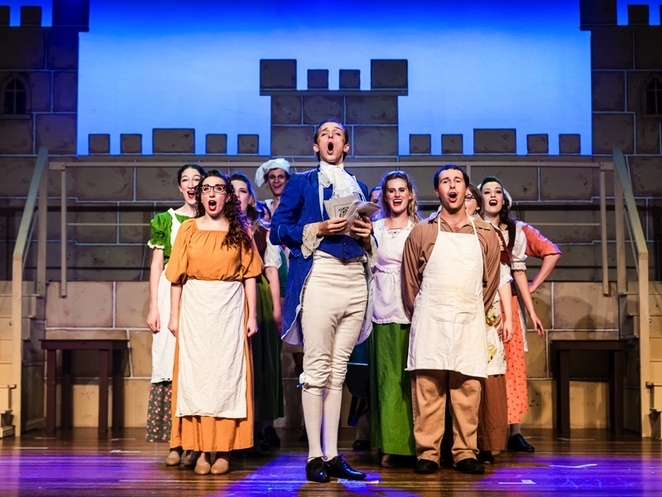 Presented by local company, Hornsby Musical Society, this community theatre production attempts to transform the showroom at the RSL into an enchanted land where wishes do come true and true love is just around the corner. If you're not familiar with the story of Cinderella, then I can only shake my head and wonder what kind of childhood you had, but if you need a quick recap, here it is. Cinderella's mother passed away and her father remarried a rather nasty lady with two daughters of her own. When Cinderella's father dies, she essentially becomes a servant to her stepmother and stepsisters. Then comes along an invitation to attend a Royal Ball where the Prince is intended to find a wife. Cinderella is forbidden to attend, but then her fairy godmother arrives and transforms Cinderella's appearance so she can attend. The prince instantly falls in love with her, but will he still love her if he finds out her true identity? First time director, Eloise Plant, has done a solid job in transforming this traditional fairytale to a stage musical, with great support from the musical direction of Jeremy Kindl. Lauren Oxenham's choreography is dainty and traditional; very in keeping with the story and the music. Erica Penollar takes on the title character of Cinderella and takes the leading lady role in her stride. She sings beautifully with a clear tone right up to the top of the role's range and makes her Cinderella equal parts sweet and gutsy, which is nice to see. 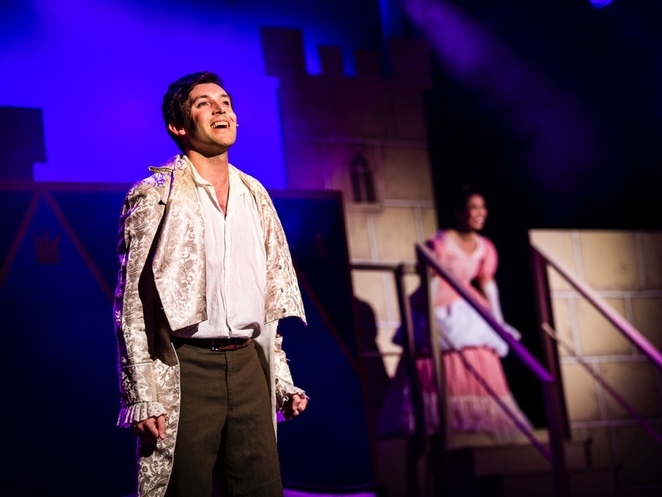 Andrew Mulholland plays her handsome prince, and whilst there are a few pitch issues early, he builds confidence in the role as the show continues. His prince does come across a little whiny at first, but develops into a more rounded character throughout. Nib Brattoni and Fiona Eskbank are lovely as the King and Queen. Their relationship is a really nice one to watch on stage and Brattoni displays fantastic empathy as the understanding father. Eskbank shines in her too-few musical moments, displaying a strong voice. David Emerson has an absolutely scene-stealing role as the Steward, hamming up the comedy with great physicality and impeccable timing. As the wicked trio of stepmother and daughters, Rebecca Demary, Ashley Roberts and Melissa McPhee elicit some of the loudest laughs of the night. Whilst Demary experiences some consistency challenges with her accent, she nails the exasperated mother character. McPhee and Roberts are as ridiculous and hammy as can be as the extremely unattractive daughters and their Stepsister's Lament is one of the show's highlights. 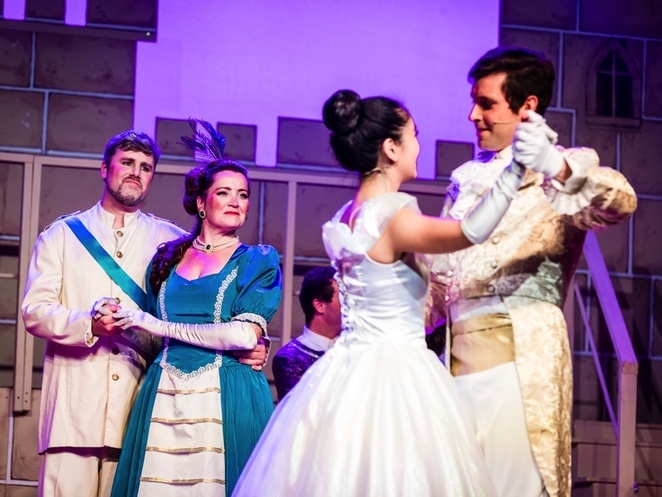 Hornsby's production of Cinderella gives the fairytale story and score a bit of the magic it deserves, but probably could go further in creating a real air of enchantment. 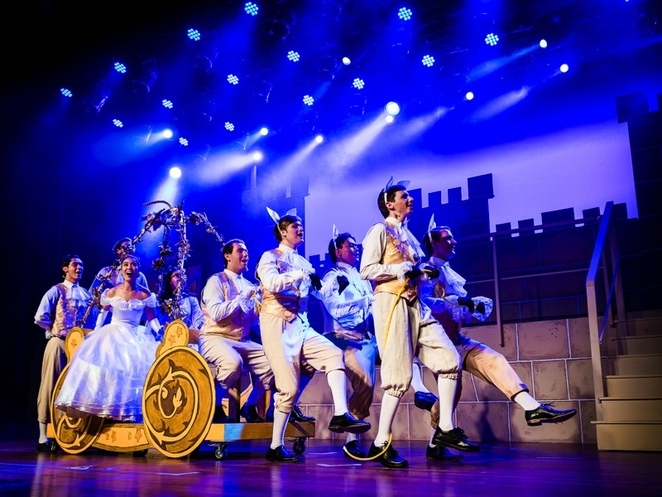 That said, the performances from the cast are all solid, the score is played beautifully by a large orchestra and this is an opportunity to see a rarely performed Rodgers and Hammerstein show.